It will be interesting to see how successful WWRY will be in America, but at this present moment in time it doesn't seem to be selling to well. The opening night of the tour seemed well received and was reported on quite favourably but unfortunately this hasn't had to positive affect on advanced ticket sales. The beauty of Theatre productions like this is with a little research and because you are able to purchase the exact seat you want it's quite easy to see if the shows are selling well or not. It failed in Vegas, so it might fail this time. A couple of good reviews can change it all though...and it is, when all is said and done, a great collection of songs, sung by very good singers. The musical makes me smile...I need to go again, haven't been this year. This is very disappointing. I'm so tired of Queen-related projects sinking in this country. Maybe the movie can change their fortunes here. fairydandy wrote: It failed in Vegas, so it might fail this time. A couple of good reviews can change it all though...and it is, when all is said and done, a great collection of songs, sung by very good singers. I can't look it up atm, but how long did it last in Vegas? I wish Canada had a go of it again. 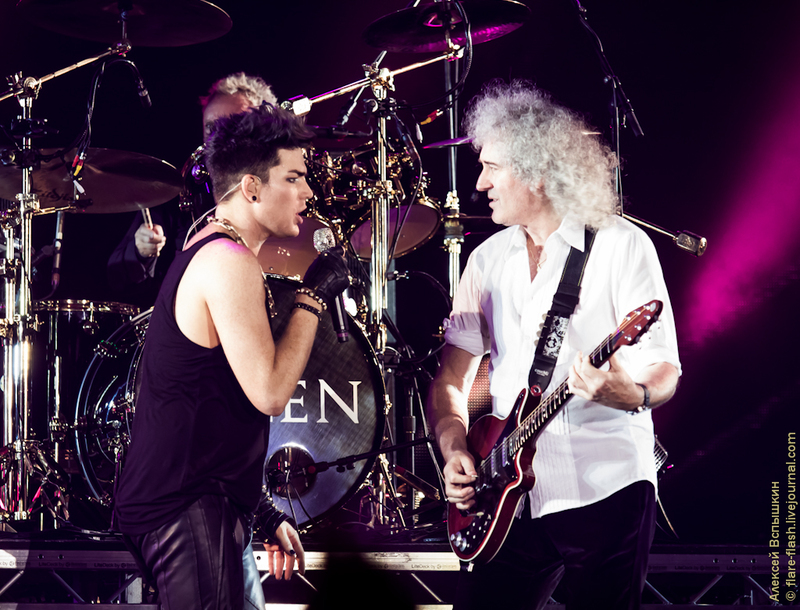 It would be nice to WWRY come here in Brazil! icy wrote: I wish Canada had a go of it again. icy wrote: Have you seen it before? Nope, this will be my first time. I'm not a big musical theater-goer -- I can count on one hand how many shows I've seen in my entire life: Cats, Rent, Chicago, Lion King, Billy Elliot -- and the last time WWRY was in Toronto, I wasn't as into Queen as I am now. Brian interview with The Wall St journal. I hope you enjoy it when you do see it. Now wait a minute. 10,541 tickets sold for Nashville, for something rock related, is pretty darn good! Your own Dominion Theater in London, the main base of WWRY, only seats 2,069. Nashville is a south midwest town, population just over 600,000, compared to London's 8.174 million. Nashville's music tradition is country. Rock has a good solid following there, but it's still predominately country music fans. I never realized that the Vegas show was cut down to 90 minutes. No wonder it failed. Thanks for the information. That's not quite right. The show was initially around 2.5 hours and it was cut to 90 minutes in the last few months as an attempt to save it.